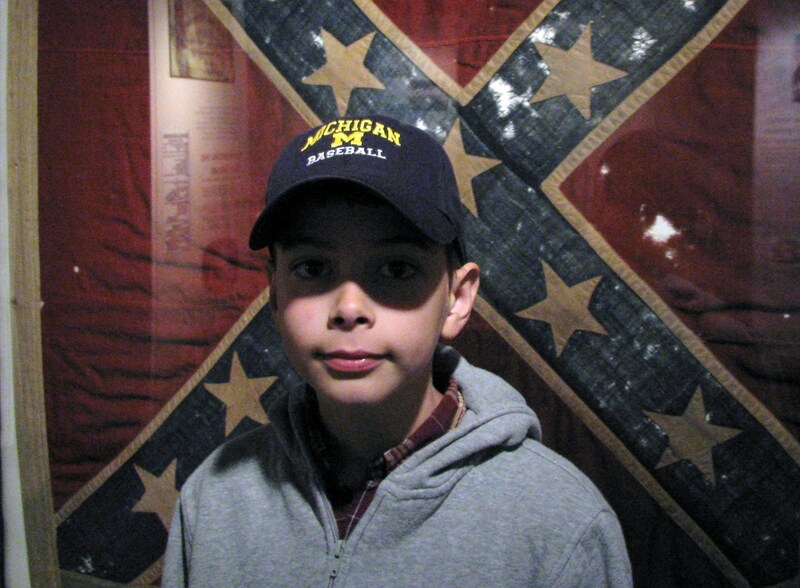 Cordell at the Confederate Relic Room and Military Museum in Columbia, S.C.
We have set up a website to feature the whips of my son Cordell. At just 10 years young, Cordell plaits a top quality whip that rivals those made by adults many times his age. Not only does Cordell stand behind his work, so do I! Cordell is now accepting orders! This entry was posted on Thursday, April 22nd, 2010 at 4:01 am	and posted in Cow Whips, Uncategorized, whip makers. You can follow any responses to this entry through the RSS 2.0 feed.